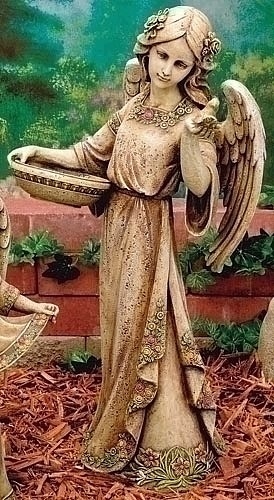 Our gentle angel bird feeder statue comes holding a bird feeder basin stands demurely as she extends a hand out to the birds. Beautifully hand finished, the sculpture is made of resin and stone aggregates. Dimensions: 20"H x 11" x 10"
Normally ships in 4 weeks. SOLD OUT.